Today, both men and women are at risk of hair loss, balding due to many factors such as age, vitamin deficiency, stress, lack of sleep… Many research shows that dietary changes can help make your hair thick back. These following foods work to prevent hair loss and help hair grow back in a short time. Hair is protein, which means you need to eat more protein to develop new hair and healthy hair. Protein is also needed to produce keratin, an important structural component of hair. A smart choice is seafood such as salmon. It was shown to improve the health of women’s hair due to omega-3 fatty acids and rich vitamins. Honey is a popular food that people use to take care for their hair, especially prevent hair loss. When used for topical application, honey improves the appearance of the hair. A study with patients with seborrheic dermatitis including scaling, pruritus and hair loss already prove honey advantages. Using mixture of 90% honey and 10% water on scalp daily for 4 weeks will improved hair loss. One of the most promising research on hair loss in women is published in the Journal of Cosmetic Dermatology. The subjects in this study were given dietary supplements containing essential omega-3 and omega-6 fatty acids and antioxidants for 6 months. After 6 months, a suprise result happens. 90% of the subjects report loss of hair loss, 86% of their hair growth and 87% of their hair is thicker. To achieve similar results, eat nuts that contain high levels of omega-3 and omega-6 fatty acids such as walnuts, flaxseed and oils such as grape seed oil, sunflower oil and sesame oil. One study found that women with hair loss had significantly lower levels of iron and vitamin D2 compared to the control group at the same age. 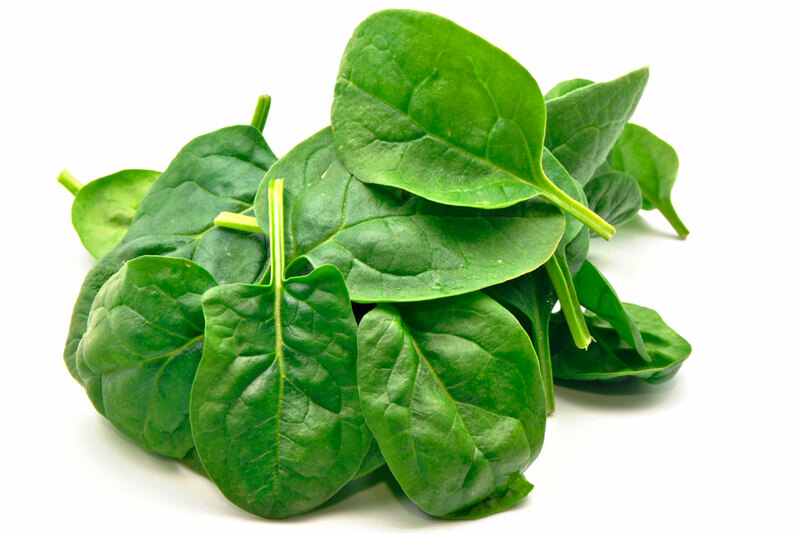 Spinach is good because it contains lots of iron and vitamin C, which helps to absorb iron. Mix spinach salads with boiled eggs or mushrooms, both containing vitamin D, which helps slow down the rate at which hair loss occurs. Zinc seems to be a super-nutrient in preventing and treating hair loss. In one study, researchers compared the zinc content of 50 people with local hair loss to 50 healthy people and found that people with alopecia were significantly lower in zinc. Another study examined zinc and copper content in 312 men and women with hair loss. Regardless of the cause of hair loss, all subjects with alopecia are less likely to have zinc levels than the control group. Pumpkin oil, rosemary oil and coconut oil are good for oily skin. In one study, researchers gave men with hair loss using 400mg per day of pumpkin seed oil or placebo for 24 weeks. Those using pumpkin seeds oil increased 40% of the hair growth. When used as a shampoo and after shampoo, coconut oil is proven to protect the hair, prevent hair loss and rosemary oil, which increases the growth of hair equivalent to minoxidil, the main ingredient in the dye-reducing product. Rogaine hair and less pruritus. A recent study showed that a supplement containing cistanchetubulosa and laminaria japonica (brown seaweed) promotes hair growth in people with mild to moderate hair loss. After 16 additional weeks, volunteers increased 13% of hair volume and 27% of hair thickness. This supplements are also effective in the treatment of dermatitis and dandruff. It is understandable that today, many people got problems with hair because of not spending time for taking care them. Foods is one in variety ways to treat your hair, but need a lot of time until it has effective. In some urgent case, when you need a good look in front of partner, girl friend, boy friend,…you can’t wait 6 months for the hair came back. What would you do? Hair extension, I’m sure you are thinking about that. Those accessories is quite expensive but very useful. It is 100% virgin remy hair so could bring you a natural look. Hair extension could be lasting for very long time, up to 2-3 years. If you are consider how to use and preserve it, you can contact to us to get advice. Hair68 blog always want to give you what is good for you. It is our responsibility, bring the happiness to customer who got trouble with hair. Thank you for visit Hair Care section today. See you tomorrow with other usful post!